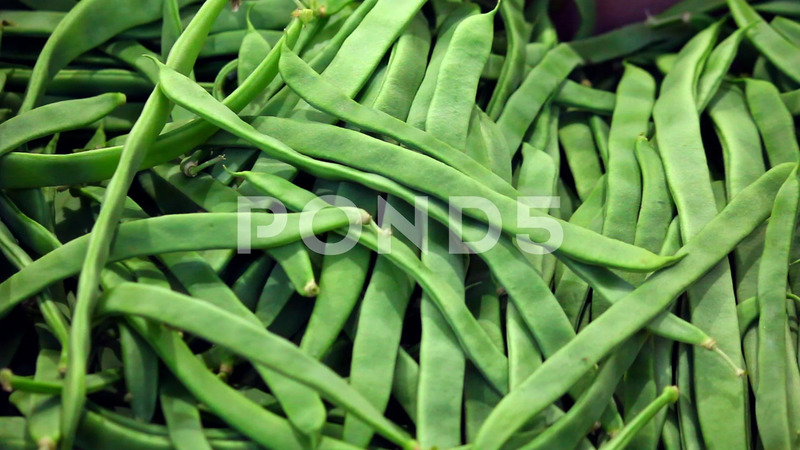 Description: Horizontal pan over green beans. Close up with horizontal panoramic movement. Vegetable texture.